Coasters are fun and useful! They are also great ways to show off your latest photo of family and friends. Available in sets of 4. They are perfect for hot or cold drinks. Printed with our amazing durable sublimation process. 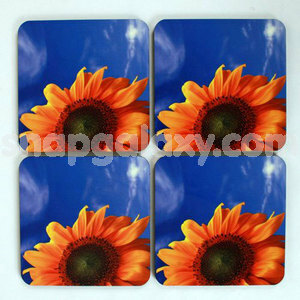 Material : Very durable sublimation material. Color : Customized to your needs.